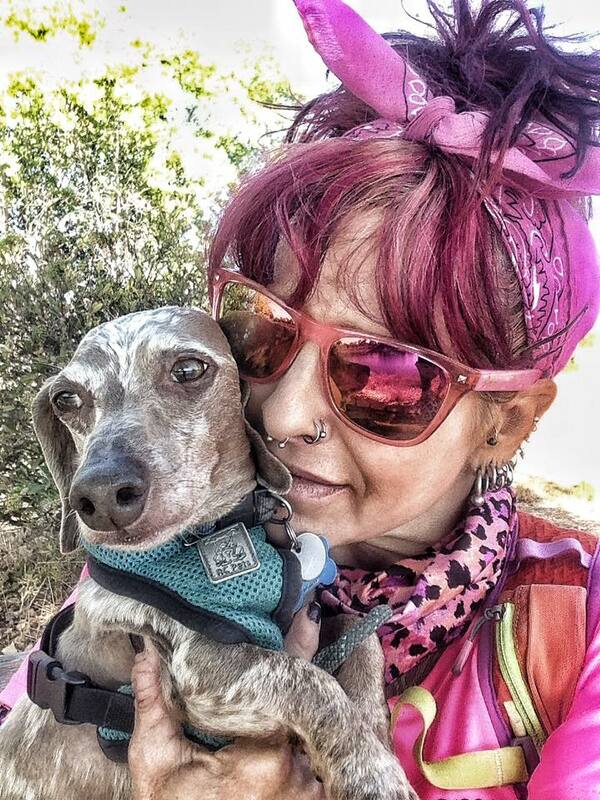 Catra Corbett is well known for her crazy adventures, prolific racing, her colorful look, tattoos, and doxie dog Truman. She is outspoken about being clean and sober (since 1994) and her vegan lifestyle. In this episode, we dig into deep topics like how to pee standing up (for the ladies), women in Ultrarunning, why there is a disparity between male/female entrants in ultras and whether that’s a problem, what Catra uses for safety on the trails including some info on SPOT trackers, dealing with wild animals, age and how it relates to racing and recovery, how to get clean and sober and how to stay that way (think: passion), depression and mental illness, sexual abuse and more. We also learn about Catra’s crazy routes including her yo-yo of the JMT (424 miles and an FKT! ), finishing the Triple Crown of 200s at 53 years young, and plans for a 100 mile/rock climb of the nose in Yosemite. Catra has a new book out, Reborn on the Run, it’s a must read! Thanks for this. I needed it, on a number of levels. I’m doubting my ability to run my first 100k – not because of the distance but because a bad dog attack last year (a poor fighting pitbull that had been abandoned in a remote area, covered in blood and going for my neck) has made me much more fearful than I ever was before. Anyway, hearing you ladies chat about some of these issues has made me feel a bit more emboldened and more motivated to take initiative on making some changes that I really needed to make. Thanks. Wonderful! Thank you for listening and sharing your story.